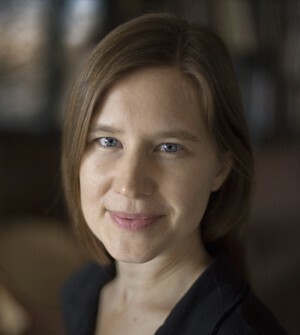 Eula Biss is the author of three books: On Immunity: An Inoculation, a finalist for the National Book Critic Circle Award for nonfiction and chosen by Mark Zuckerberg for Facebook’s Year of Books; Notes from No Man’s Land: American Essays, winner of the National Book Critic Circle Award for criticism, and a collection of poetry, The Balloonists. Her work has been supported by a Guggenheim Fellowship, a Howard Foundation Fellowship, an NEA Literature Fellowship, and a Jaffe Writers’ Award. She holds a B.A. 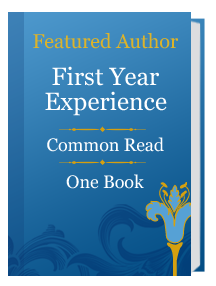 in nonfiction writing from Hampshire College and a M.F.A. in nonfiction writing from the University of Iowa. Her essays have recently appeared in The Best American Nonrequired Reading and the Touchstone Anthology of Contemporary Nonfiction as well as inThe Believer, Gulf Coast, Denver Quarterly, Third Coast, and Harper’s. Eula Biss is the author of three books: On Immunity: An Inoculation, a finalist for the National Book Critic Circle Award for nonfiction; Notes from No Man’s Land: American Essays, winner of the National Book Critic Circle Award for criticism, and a collection of poetry, The Balloonists. Her work has been supported by a Guggenheim Fellowship, a Howard Foundation Fellowship, an NEA Literature Fellowship, and a Jaffe Writers’ Award. She holds a B.A. in nonfiction writing from Hampshire College and a M.F.A. in nonfiction writing from the University of Iowa. Her essays have recently appeared in The Best American Nonrequired Reading and the Touchstone Anthology of Contemporary Nonfiction as well as in The Believer, Gulf Coast, Denver Quarterly, Third Coast, and Harper’s. Eula Biss and John Bresland are the Chicago-based band STET Everything. Why do we fear vaccines? A provocative examination by Eula Biss, the author of Notes from No Man’s Land, winner of the National Book Critics Circle Award. Upon becoming a new mother, Eula Biss addresses a chronic condition of fear—fear of the government, the medical establishment, and what is in your child’s air, food, mattress, medicine, and vaccines. She finds that you cannot immunize your child, or yourself, from the world. In this bold, fascinating book, Biss investigates the metaphors and myths surrounding our conception of immunity and its implications for the individual and the social body. As she hears more and more fears about vaccines, Biss researches what they mean for her own child, her immediate community, America, and the world, both historically and in the present moment. She extends a conversation with other mothers to meditations on Voltaire’s Candide, Bram Stoker’s Dracula, Rachel Carson’s Silent Spring, Susan Sontag’s AIDS and Its Metaphors, and beyond. On Immunity is a moving account of how we are all interconnected—our bodies and our fates. “Eula Biss writes in spare brushstrokes that evoke an emotional universe, by turns funny, scary, dreamlike, haunting. These prose poems are shards of gleaming observation, fragments of intimacy and illusion. Here we find our families and ourselves, our words and our silences” —Martin Espada. “With deceptively quiet, unflinching compassion, Eula Biss records the perceptual wedges that cleave the self from its origins. The family history refracted here is mutable, notable, more gravid than grave. The Balloonists holds a fresh line on confession, biography, and the formal uses of information in poetry” —Rebecca Wolff.